The CSEES publishes the series Southeast European Studies with the publishing house Routledge. The Southeast European Studies Series seeks to provide a forum for this new scholarship. 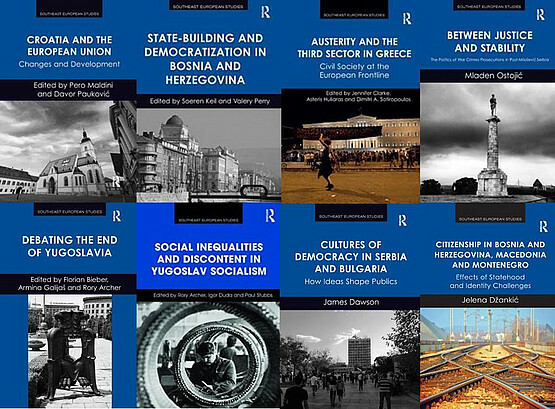 Publishing cutting-edge, original research and contributing to a more profound understanding of Southeastern Europe while focusing on contemporary perspectives the series aims to explain the past and seeks to examine how it shapes the present. Focusing on original empirical research and innovative theoretical perspectives on the region the series includes original monographs and edited collections. It is interdisciplinary in scope, publishing high-level research in political science, history, anthropology, sociology, law and economics and accessible to readers interested in Southeast Europe and beyond.